FastFans.net - Social Media Marketing Services since 2012 (a FastFaceLikes.com company). We are one of the world's leading providers of Facebook Likes, Fans, Instagram Followers, YouTube Views and more social media marketing services. 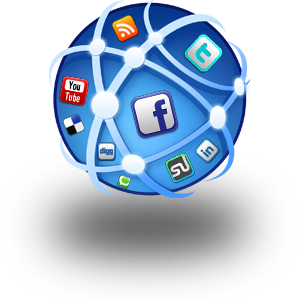 Our services will increase your social exposure quickly and affordably. No matter your goals and budget, we have a campaign that is totally customizable to your needs. Simply visit our social media marketing services section and start a campaign. Get More Facebook Likes - Here at the FastFans.net office, we specialize in growing Facebook pages, Twitter, Instagram, YouTube, LinkedIn, Pinterest and SoundCloud accounts and helping businesses increase the amount of Facebook likes on their fan page. We're one of the few companies that guarantee our service and that will provide lasting, effective results for your fan page. In addition to increasing your Facebook likes, we can also increase likes on facebook photos, statuses, and website links. Our entire team is located in the Europe, and we've been growing our client's Facebook pages for years (from small businesses to Fortune 500 companies). Ready to give us a try? Head on over to our social media services section to assemble your first campaign. We have something for every budget, and work with all clients, big or small. While there's no wrong answer for the size of your campaign, some planning and preparation can go a long way and will help you meet your goals. Once you have a budget in mind and a goal number of fans, head on over to our social media marketing services section to see how it aligns with your budget. Remember that you can always create multiple campaigns. Alternatively, you could meet your goal number of fans in a single order; it depends on your goals.